There is one thing that every Dodge Challenger, new or old, stands for, and that is power. The 2018 Dodge Challenger will certainly not disappoint when it comes to performance, nor will its aggressive, muscle car style! Driving enthusiasts near the cities of Baton Rouge and Central, LA can stop by All Star Dodge Chrysler Jeep Ram to get a closer look at this powerful, modern muscle car. You can shop our complete inventory of new Dodge Challenger muscle cars in Denham Springs, LA here on our website, too. The 2018 Dodge Challenger easily backs up its bold presence and aggressive style with its range of potent engine choices. Even with its base engine, Dodge's award-winning 3.6-liter Pentastar V6 engine, the 2018 Challenger delivers over 30o horsepower to the rear wheels, or to all four with the available all-wheel drive (AWD) system. Then comes the HEMI V8 lineup, which begins with Dodge's 5.7-liter HEMI V8, generating a smile-inducing 375 hp and 410 lb-ft of torque in the new Challenger. For even larger displacement and greater power and torque under the hood, consider the 6.4-liter HEMI V8 motor, with its incredible 485 hp and 475 lb-ft of torque. For the 2018 model year, Dodge is still offering driving enthusiasts the chance to commandeer the most powerful factory muscle car ever produced: the Challenger SRT Hellcat. This mean machine delivers an insane 707 hp and 650 lb-ft of torque to the ground through wide, 20-inch wheels wrapped in high-performance tires. No matter which performance powertrain you select in your 2018 Challenger, you can choose between a manual transmission with six forward gears, or the modern TorqueFlite eight-speed automatic transmission with paddle shifters. The 2018 Dodge Challenger can be had in many different trim levels, which means that you are bound to find a Challenger that feels tailored to your taste and budget. 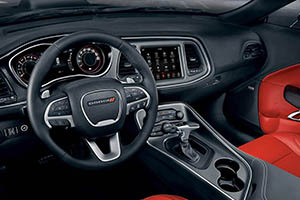 The Challenger SXT base model starts things off with standard amenities like a Uconnect infotainment system and 7-inch touchscreen display, plus dual-zone automatic temperature control. The range of trim variants based on Dodge's popular R/T line feature 20-inch sport alloy wheels and HEMI V8 power. 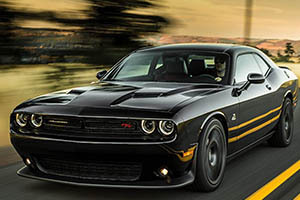 From there, it only gets more wild and powerful as you move up the Challenger lineup, including the range of Challenger 392 (6.4-liter HEMI V8) models and the mighty SRT Hellcat. Drivers around Baton Rouge and Central, LA can visit All Star Dodge Chrysler Jeep Ram to explore the latest iteration of Dodge's powerful muscle car, the 2018 Challenger. Our dealership has a service center on-site for any routine maintenance your Challenger or other Dodge, Chrysler, Jeep or Ram vehicle may need at a later date. 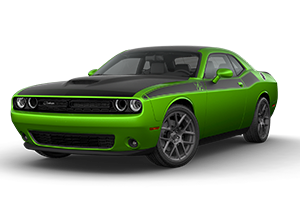 Visit All Star Dodge Chrysler Jeep Ram and get into a new Dodge Challenger today!